We were very lucky down in Dorset and Moreton did, despite the weather, kick off the 2017 season. I started off with Georgisaurous in the 100 and he had a great start to the season. He led the dressage on a score of 24.8, however there were a few errors and the test will easily improve. He then did a super double clear but got 6 time faults cross country and dropped down the order to finish 8th. He finds it all very easy and really enjoys his job. Andrew was riding Andarilho for Carol Egan, also in the Open 100, and he had a good first day out. He did a nice test of 33.3, and then unfortunately just rolled the last two poles show jumping after what was a good round, and then gave Andrew a very genuine ride cross country. I then had Volcan du Barquet starting off the season in Novice, he was on good form but he was slightly too excited to be out to do his best in the dressage, and scored 34.8 with a few silly mistakes. He just touched the last show jump wish was unlucky and then went very confidently around the cross country. I was having my first outing on a new horse FC Torino and he had a good day. He did a very nice test of 28.8 to lie in second, he also had the last show jump down, but jumped a very nice round. He then gave me a great feel cross country; he was fun to ride and very confident but I got my usual amount of time faults in the mud. Oratorio was also out and I decided to give him the first run in an Open Novice just to help get us together. 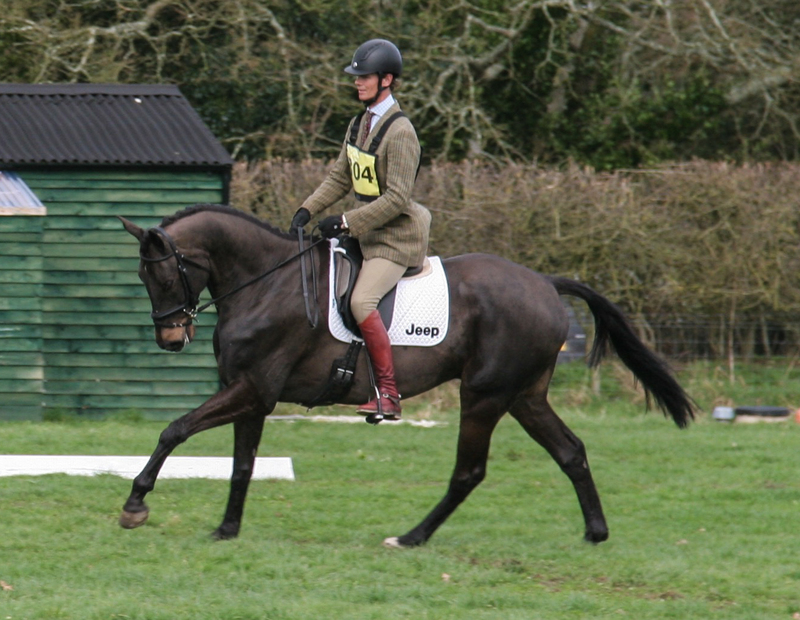 He got off to an excellent start leading the dressage on 23.3, and jumping a very confident double clear. Obviously he went with some time faults which moved him down the order. My Lucky Day was also out and was quite on his toes in the dressage, but he did do some nice work. He jumped a super clear show jumping, he does seem to be a nice careful horse and he then popped around the cross country effortlessly. I think he too was a bit surprised to be going so slowly so he was a bit strong at times, but the outing was a great opportunity for us to build our partnership. Daddy’s Quest has not been back long and she was there for an outing but not to run cross country. She did a nice enough dressage with a few silly mistakes to score 36, and then Andrew was very happy with her lovely clear show jumping. 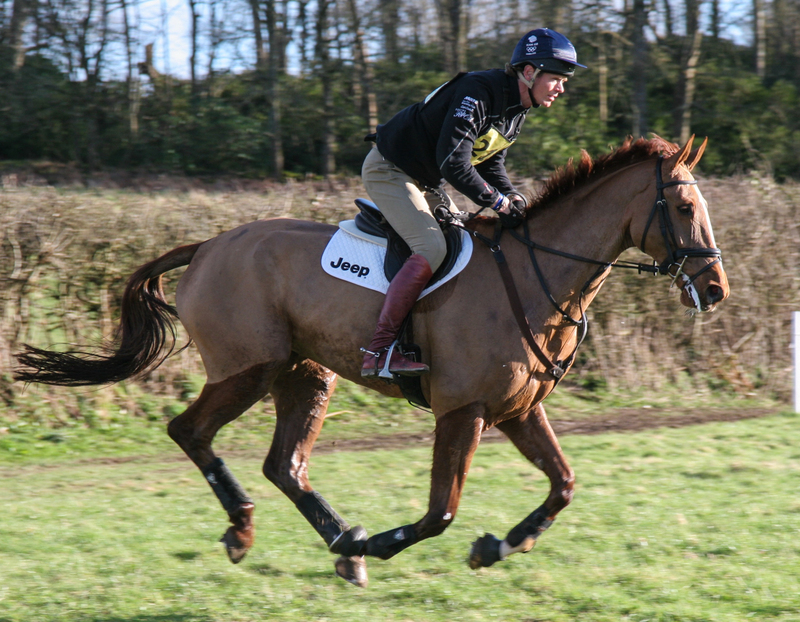 Andrew was also riding Seventh Heaven for me, and had a very productive first outing. Dressage actually went pretty well but a few mistakes meant he only scored 39.8, he jumped a good round show jumping but rolled two poles, and was then his usual excellent self cross country. 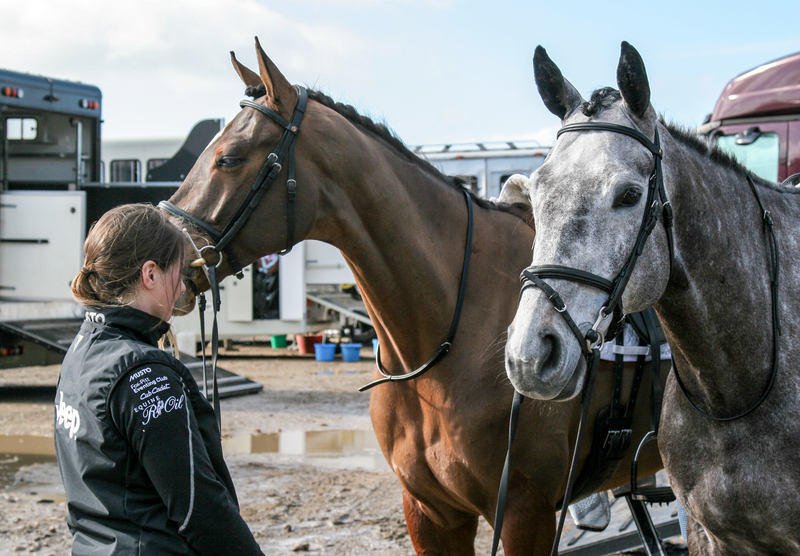 As I said we were very lucky that Moreton ran and the organisers did a brilliant job to make it such a success, they have got a fantastic new all-weather show jumping arena and the cross country course, although not very difficult, was beautifully presented and nice and educational. 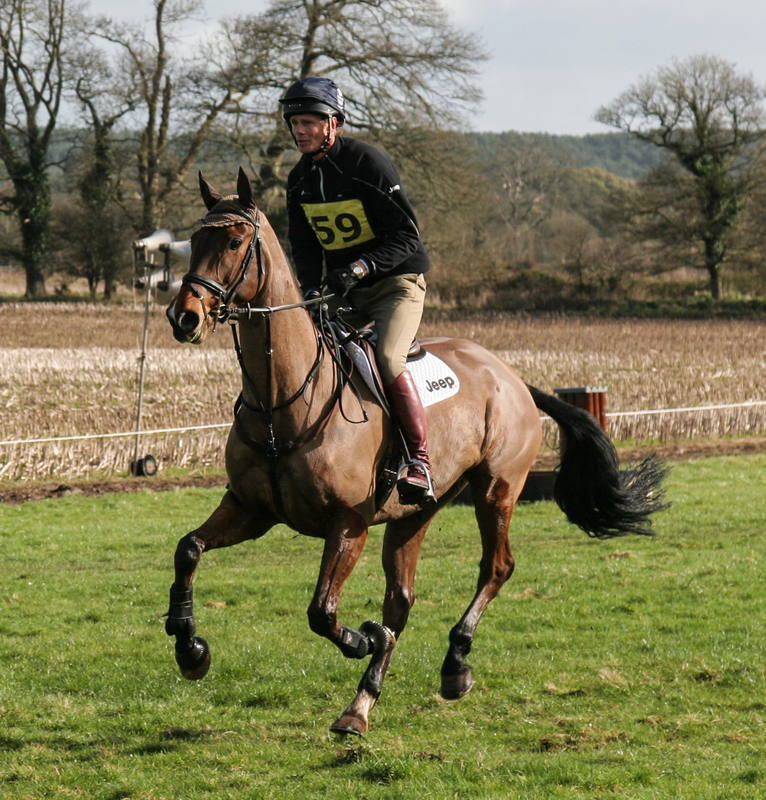 The ground in the Dressage held up remarkably well and you couldn’t have complained at all about the cross country but it was obviously a bit squidgy in parts, but it was overall good old fashioned soft ground. I was very pleased to have the chance to get all my young ones out and they have hopefully got a few more runs in quick succession to get them in the 2017 groove. I am now off to BHS Training Convention with Jackie Potts to do some training for a couple of days. I will be back to ride at Tweseldown on Thursday and Friday.